From Cradle To Crown: His Most Gracious Majesty King Edward Vii. by Vincent, J. E.
1902. 336 pages. No dust jacket. Half leather bound with green cloth boards. Cracking to hinge, tearing to spine and unstable boards but binding remains tight. Previous owner's inscription and booksellers pencil markings to front endpapers. Light tanning and thumb marks throughout but heavier to endpapers. Heavy rubbing and marking to surfaces with noticeable bumped corners and scuffed edges. Leather from spine is missing and the rest is heavily worn and crumbling. 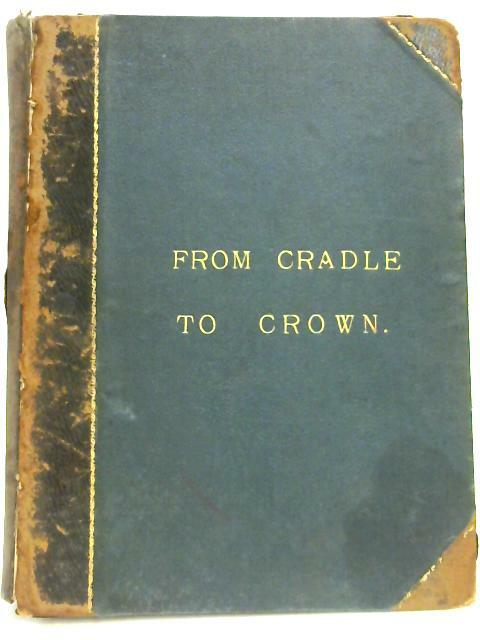 From Cradle To Crown: His Most Gracious Majesty King Edward Vii.